This research also found that a third of people who had purchased other smartphones said they would have bought an iPhone if they had been available at the time they wanted to purchase. Almost 40% of people owning Motorola phones said they wished they had an iPhone. 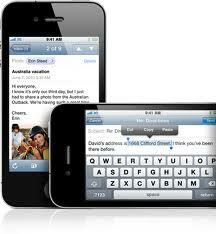 It is possible to buy refurbished iPhones at more competitive prices. Refurbished handsets have been checked out to make sure they meet factory specifications. Buyer Beware as the checking follows a point system, the better the product on offer, the higher points are awarded. They can range from a 10 point system to a 100 point system and if the handset has been checked and ‘certified’ it means it is in a ‘like new’ condition. The phone is then tested before repackaging it and offering it for sale. Visit the Carphone warehouse website for current deals and information. Please let us know your experience of reconditioned iPhones. As the iPhone sales continue to outstrip supply (Tesco online are currently out of stock) it is good to know that a few online retailers still have stock. 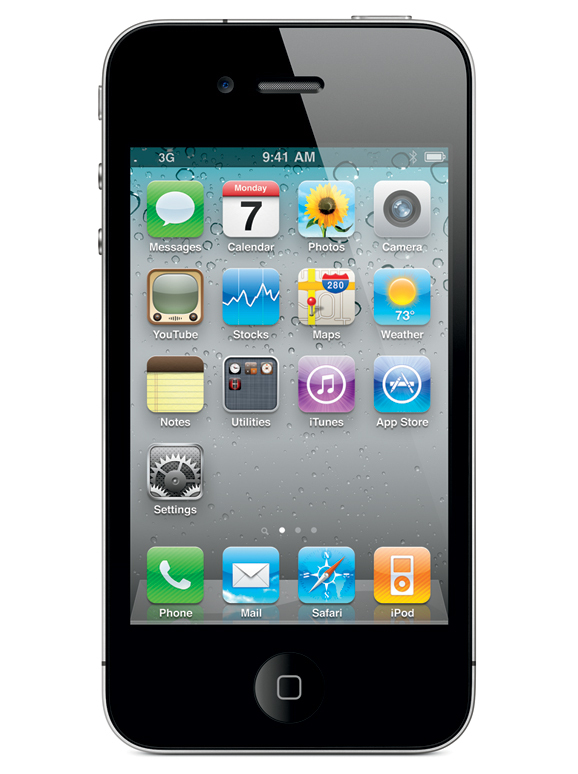 The iPhone 4 is still in stock on the Vodafone network so take our advice and get in there while stocks last. If you are looking to buy someone an iPhone for Christmas – “Please don’t leave your shopping until the last minute” - because stock levels are really tight. Vodafone have pay as you go iPhone 4s – in stock. Visit the Vodafone website for more information. T-mobile have the iPhone 3GS (8GB and 16GB) in black and white. Visit the T-mobile website for more information. Orange have the iPhone 3GS (8GB) in black and white. Visit the Orange website for more information. O2 have pay as you go iPhone 4s (16GB and 32GB) – in stock. Visit the o2 website for more information. O2 have the iPhone 3GS (8GB) in stock. Visit the o2 website for more information. Is iPhone 4 your best buy? The iphone 4 is being challenged by the HTC Mozart. How do the phones compare? 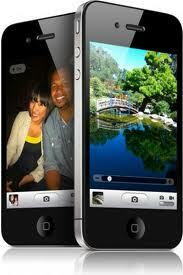 The iPhone 4 is an elegant handset with stunning technology. It is easy to use (no need to read the manual) and it has a long lasting battery much improved from the iPhone 3GS. 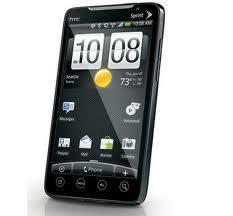 However, there is a new smartphone, the HTC 7 Mozart, that appears to be impressing the marketplace and challenging the iPhone’s fanbase. The HTC 7 Mozart is slim, lightweight (130g), with triangular rubberized top and bottom segments, brushed aluminium smartness and a serious feel compared to the slightly heavier (137g) iPhone 4. The HTC Mozart is based on the Microsoft Windows phone 7 operating system and it has only just recently been launched in the UK. This smartphone from HTC has a number of excellent features and specs to its advantage, but can it really match the lure of iPhone 4? This article aims to objectively compare the two handsets in five areas: making a call, sending an email, taking a photo, internet browsing and downloading apps. Your Apple iPhone 4 has an impressive talktime of 372 minutes (much improved from their earlier models) with excellent sound quality, the handset contains a noise-cancelling microphone making it easy to hear your call even during loud background noise. A swipe of the home screen lets you search for contacts, select and tap to choose a landline, mobile or FaceTime video chat. However, when Apple placed the antenna around the edge of the phone it causes reception problems when the phone is held in a certain way. This means we cannot give the iPhone 4 full marks for its basic task of making and receiving calls. The HTC 7 Mozart processing and performance speeds match the iPhone 4. the screen display of 480 x 800 pixels 3.7-inches S-LCD capacitive touch-screen compares well with the iPhone’s 640 x 960 pixels 3.5-inches LED-backlit IPS TFT capacitive touchscreen. Mozart offers up to 360 h (2G)/ up to 435 h (3G) of stand-by time and iPhone 4 gives up to 300 h (2G)/ up to 300 h (3G) stand-by time – Mozart wins. This number of pixels per inch provides a ‘retinal display’ as it surpasses the point at which the eye can detect individual pixels. But, if we consider talk-time, iPhone 4 is ahead – Mozart giving 6h 40 min (2G)/ up to 5h 30 min (3G); whereas Iphone 4 gives a chatter availability of 14 h (2G)/ up to 7 h (3G). When making a call with Mozart, you find contacts in the People app called ‘hub’. Profiles include a photo and updates from social networks. A plus, you can ‘pin’ favourite contacts to your home screen. With an iPhone 4 you open the email app and tap an icon to bring up a blank message. A chunky querty keyboard fills half the screen available and leaves limited space to write your message. Some users find the spelling checker over helpful which is a minus. Mozart uses a Windows phones email app which has a clean, business-like interface. The touchscreen keyboard was the best – this new smartphone has obviously learnt from its rival’s failings. The iPhone 4 has a 5Mp camera while the Mozart has an impressive 8 Mp. The iPhone 4 camera has an LED flash, a backlit sensor, and an integrated 5x zoom. The lack of a dedicated shutter button makes the phone slow to snap but the photos, once achieved, look terrific. You also have a second front-facing camera. The video calling ‘FaceTime’ feature is an interesting option that only works on wi-fi. One-touch keys will send your photos as emails or picture images but there is no quick way to post them to Facebook or Twitter. The Mozart 8 megapixel camera with Xenon flash, autofocus, and 720HD video recording should more than satisfy the keen photographer with a resolution of 3264 x 2448 pixels. Hit the shutter button and the phone moves swiftly into camera mode. Look at your ‘Pictures hub’ to admire your photos and then share them on Facebook and enjoy automatic uploads to your free online account. The iPhone 4’s Safari browser has a Google searchbar built in. Pages load quickly and the phone is wi-fi capable for when you are in a wireless hotspot. There are useful tabs for News and Image searches. The phone runs on Apple’s impressive operating system iOS4 which will ultimately allow a host of new capabilities, not least the ability to multi-task by running several applications at once. Mozart does not use Google but Microsoft’s Bing search engine – you hit the magnifier icon and the results are similar to Google’s. Hold the Windows button down for voice-activated searches. 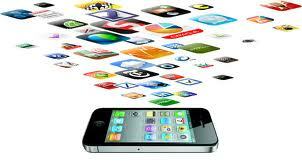 No-one can beat Apple Store for games and apps – the choice is mind-blowing with about 300,000. After crediting your iTunes account, downloading and installation is really easy – just enter your password. The iPhone 4 is available with either 16GB or 32GB of internal memory, this gives you room to save all your favourite music tracks but it lacks an FM radio. Windows Phone Marketplace currently only offers about 1,000 apps – they work smoothly and you are able to try out games before buying.The large display is perfect for those of you who like to be entertained (Xbox Live Gaming) especially when coupled with the handset’s Dolby Digital surround sound. This article has attempted an unbiased review of the merits of Apple iPhone 4 when compared with the latest HTC Mozart handset. Iphone 4 has much to recommend it to seasoned smartphone users and apart from its camera’s capabilities it tips the scales in its favour – no surprise there then! However, the word is spreading among the techie’s that the Mozart is a serious contender with a great fresh new user interface, great camera and fantastic web browser. Perhaps that accounts for the Sunday Times Ingear Tech & Net journalists Mark Harris and Matt Bingham opting for HTC 7 Mozart in their Xmas stockings? Apple iPhone 4 PAYG can be bought from Apple for £499. Visit the Orange website as the HTC 7 Mozart is available now for £399 PAYG or consider a free handset with monthly deal. It is not only adults who yern for the latest Apple iPhone in their Xmas stocking. Last week the annual Duracell toy report in a survey of more than two thousand children aged between 5-16 found that in the UK the iPhone 4 was at the top of most children’s Christmas lists too, toppling Barbie the doll. The appeal of the Apple iPhone appears to be universal- across both genders and all ages in the UK. The Telegraph this week announced that the iPhone, originally released in November 2007, was now the third-biggest selling mobile brand in the UK. Apple sold 1.5m iPhones including the new iPhone4 model in the three months to the end of September 2010, a rise of 43% on the previous quarter. Apple have stated that they would have sold even more iPhones if it had not struggled with supply issues. When you consider that the cheapest pay-as-you-go iPhone4 mobile sells for around £480, it is not an inexpensive asset- yet demand still outstretches supply. In the UK users own 71.2m mobile phones, that is 10m more than our current population! It appears that functionality is not the guiding reason for wanting to own an iPhone 4. Its greatest appeal is sensory; “Just cradling it in your hand is a delight, while sliding your finger across the screen to unlock it prompts a little gasp of pleasure” cited by David Edwards in The Times newspaper. When faced with the state of the art screen (read our article on Screen technology of the iPhone4), text, picture or map, by placing your fingers on the screen and dragging then apart the screen zooms in on the detail -move your fingers together again and you zoom back out – its a great trick to show envious family and friends. It’s that time of year when you need to move now if you want to buy an iPhone4 for your own use or as a great Xmas gift. At present the iPhone4 is available on 3 after all stocks sold out last month. You can get a handset from 3 for £30 a month with £149 upfront charge on 3’s Internet Texter 500 plan. This will give you 500 any-network minutes per month plus 5,000 3-to-3 minutes and a monthly allowance of 1GB of internet use for downloading a fantastic range of apps and viewing media, plus 5,000 text messages. 3 are also stocking the 16GB iPhone4 in a refurbished condition. T-mobile have iPhone 4 and iPhone 3G in stock too. Check out the T-mobile website or visit our Buy Online webpage. As unbelievable as it may sound the iPhone is so popular that the big stores keep on running out of stock. The tesco website is showing very little iPhone stock at the moment. So it is great news to hear today that T-mobile have iPhones back in stock and are therefore able to sell iPhone 3G and iPhone 4 handsets on pay as you go contracts. If you are looking to buy an iPhone before Xmas you better get cracking and buy one now because it won’t be long before the online stocks of phones will soon be depleted again. Visit the T-mobile website to get hold of a phone before the Xmas rush sees them sold out again. Good luck!